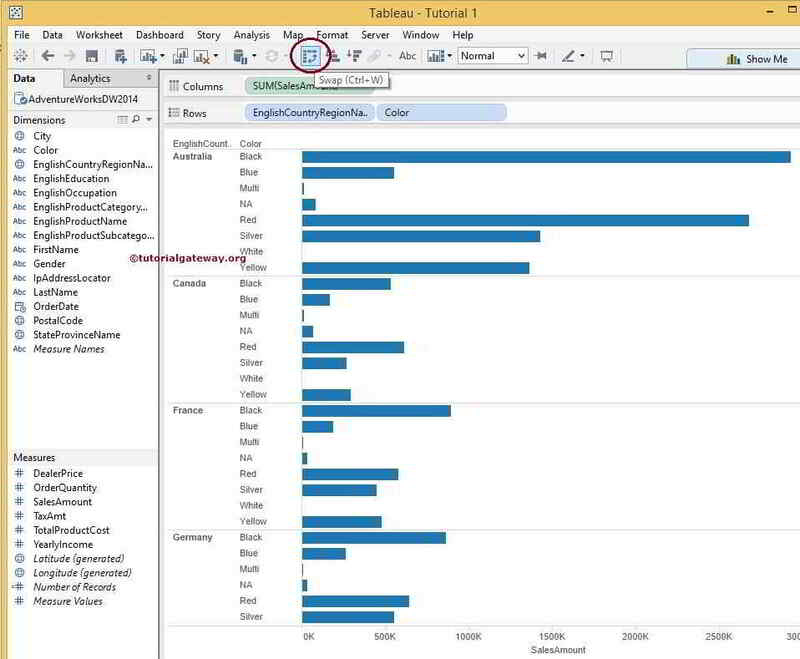 Data Labels in Tableau reports or any other Business Intelligence reports plays a vital role to understand the report data. 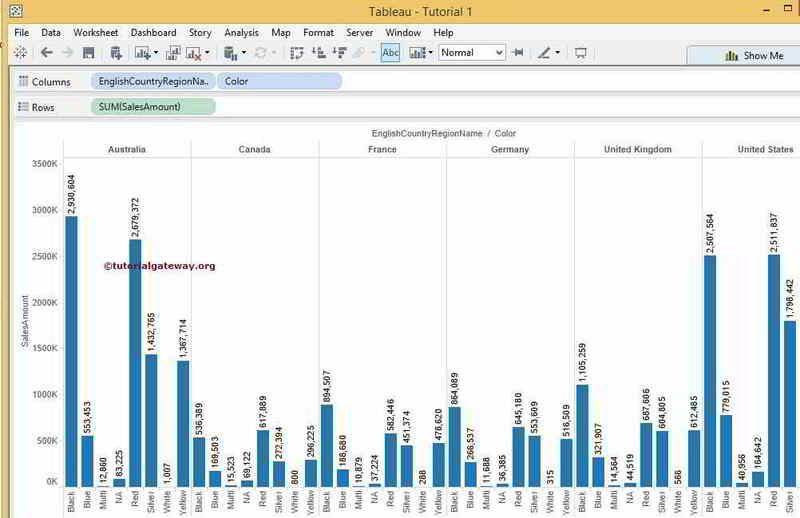 For example, By seeing the bar chart or Pie chart we can easily understand, which country sales are greater than the other but we can’t see how much sales (in number) each country has done. In these situations, we can enable Data Labels on the country region. 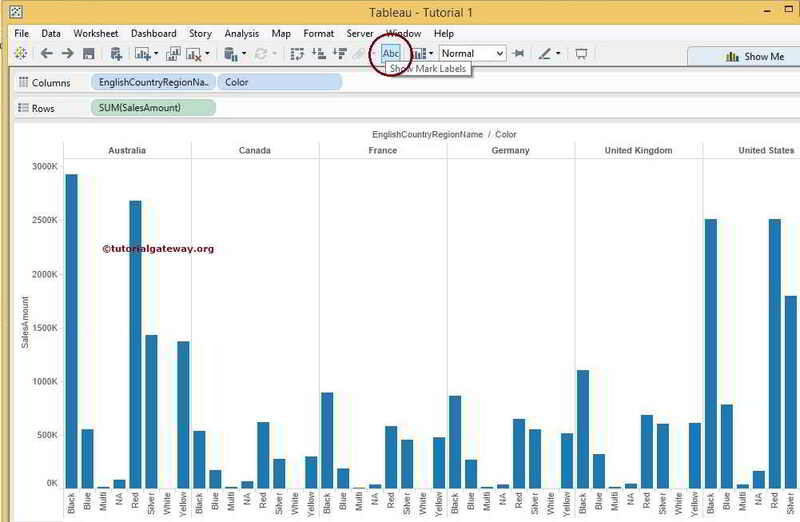 In this article, we will show you, How to add data labels in tableau reports with example?. 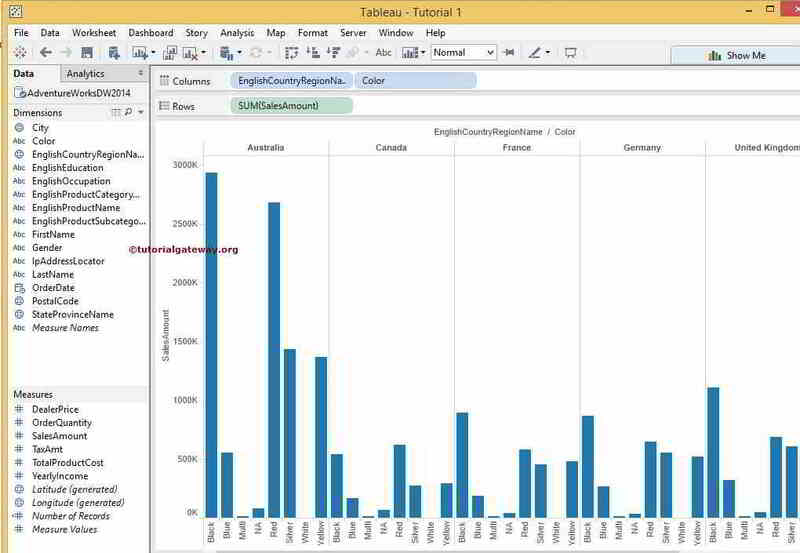 For this we are going to use the SQL Server Data Source so, Please visit Connecting Tableau to SQL Server article to understand the connection process. NOTE: Don’t worry about the code and Joins we used in the above statement perhaps you should concentrate on Data Labels. 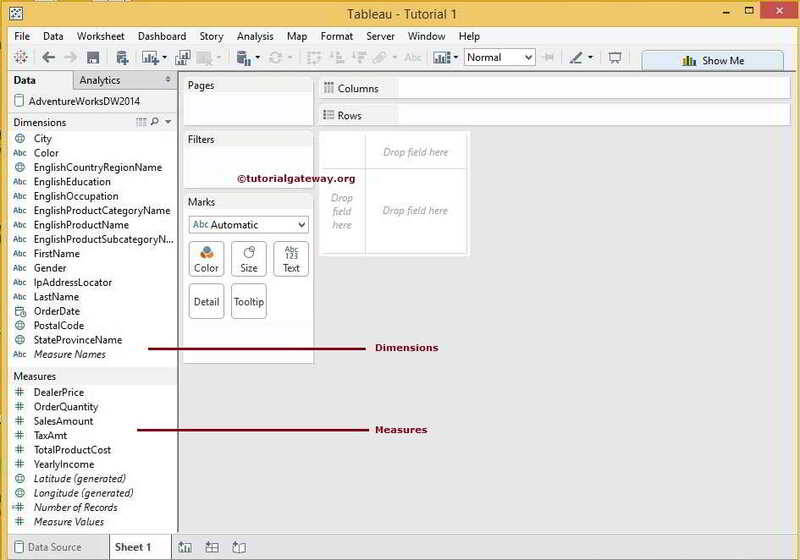 However, If you are interested in learning SQL Server, Please visit our SQL tutorials page. 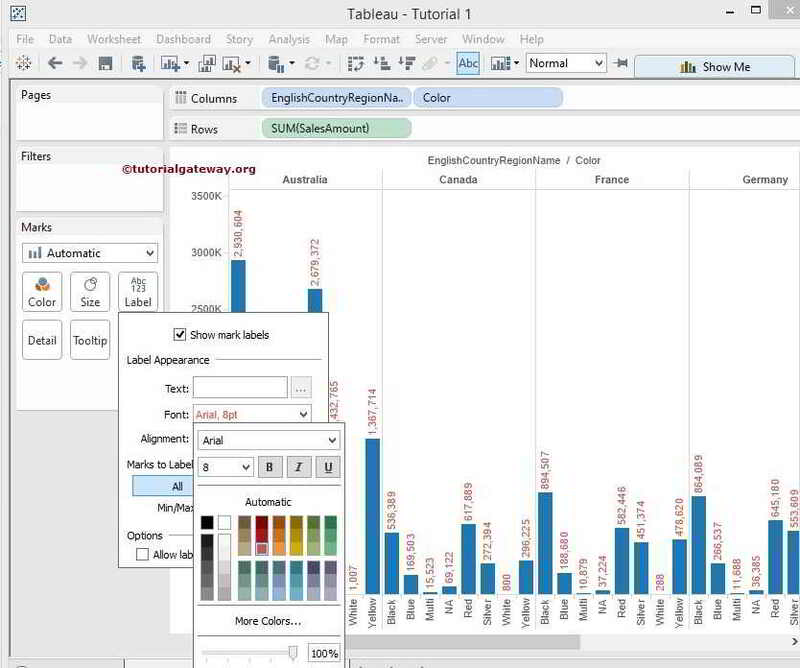 Before we start enabling the Data labels We are going to show you, How to Swap rows and columns or else flip the chart. To do this, Just click on the button we marked below. The second method, Click on the Abc Label button present in the Marks Card. 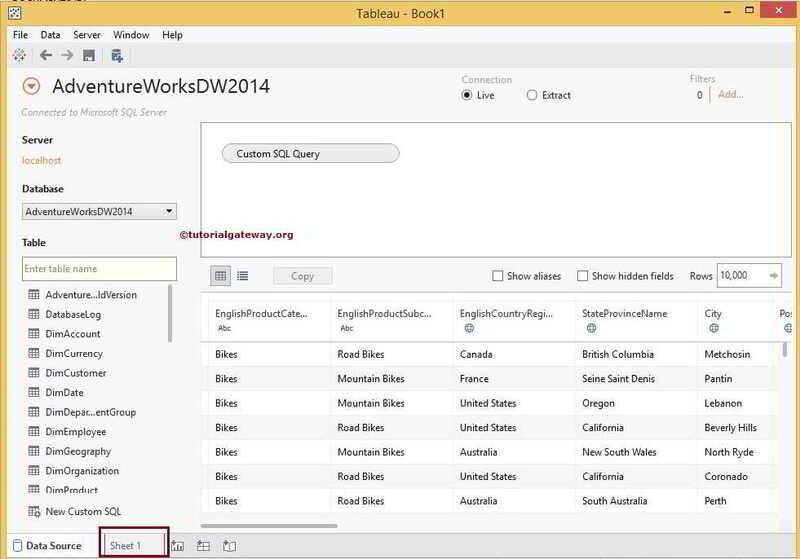 From the below screenshot you can observe that when you Click on the Abc Label button a drop-down window will be displayed. 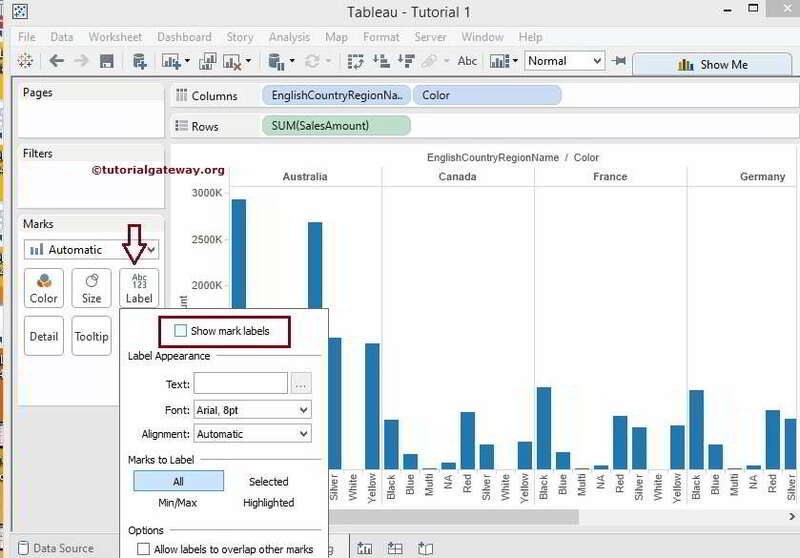 From the drop-down window, Please check to mark the Show Mark Labels option to enable data labels in tableau reports.